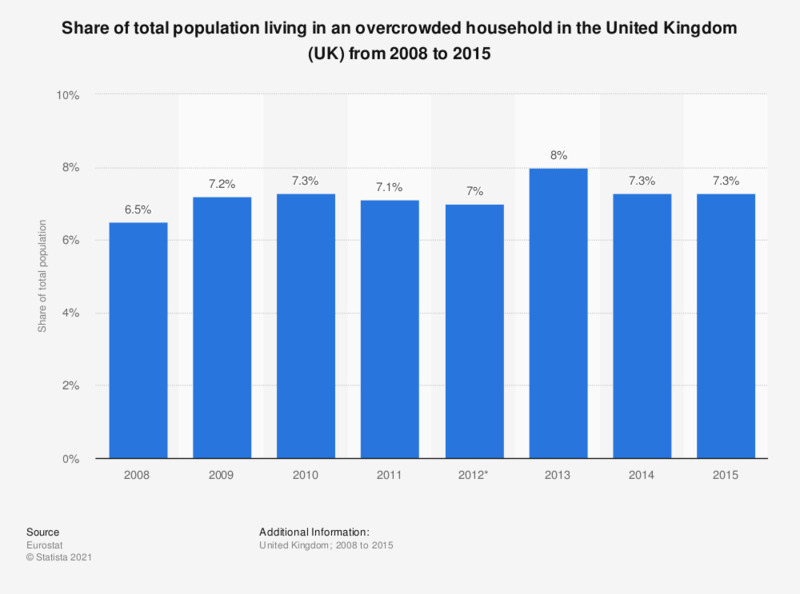 This statistic shows the share of total population living in an overcrowded household in the United Kingdom (UK) from 2008 to 2015. In 2015, the United Kingdom had an overcrowding rate of 7.3 percent. Data coverage corresponds to code ilc_lvho05a of the EU-SILC survey.